France-based IT consulting firm Atos acquires three US healthcare consulting firms that focus on EHRs: Pursuit Healthcare Advisors, Conduent’s Healthcare Provider Consulting, and Conduent’s Breakaway Group. The acquisition gives Atos 400 new consultants. The company expects its healthcare revenue to increase to $1.2 billion. Atos acquired Anthelio Healthcare Solutions a year ago for $275 million in cash. From Kyle Armbrester: “Re: Givenchy’s rumor report from Tuesday. The statement that ‘about 20 hospitals are cancelling scheduled go-lives’ is false. It’s unfortunate that a few, CPSI in particular, persist in seeding and spreading misinformation about Athenahealth and our in-market momentum and success. Some facts: Earlier this year, KLAS reported that only three vendors achieved net gains in the hospital space—Cerner, Epic, and Athenahealth. Our clients are realizing improved financial and clinical results; four out of five of executives who we work with are seeing real positive impact on bottom lines (KLAS). We have plenty who would love to do a Q&A for HIStalk. We are building true partnerships across the community hospital space which are directly attributed to addressing the needs of an underserved segment. We offer low up-front costs, no maintenance fees, and aligned incentives. It’s our cloud-based, results-oriented platform model that gives us our edge and sets us apart from traditional software players that now seem to be kicking-up some in-market desperate and unsavory behavior. Givenchy, would love to talk further.” Kyle is chief product officer at Athenahealth. Givenchy also named three specific (but still unverified) hospitals that have returned to CPSI, not including Jackson Medical Center (AL), which a CPSI-issued press release says went back to Evident Thrive after its collections dropped 75 percent after a few months running Athenahealth. I’m happy to talk to folks from hospitals that have either gone live on Athenahealth in the past 6-12 months or that have returned to CPSI after trying Athenahealth, which is about as fair and direct as I can make it. From Cheap Seater: “Re: cavorting on the UGM stage. What about so-called journalists who make the mistake of letting vendors court them at user meetings and conferences?” I think that happens only rarely since most of those folks don’t have a lot of influence to be worth courting, but I do picture most industry writers as introverted, inexperienced with frontline healthcare or IT, and easily swayed by token vendor executive attention, so I agree that their reporting might be suspect at times. It’s like reading an online review from Yelp or elsewhere – be wary of starry-eyed accounts that don’t contain at least one negative observation. I like staying anonymous because that removes even the possibility of vendors trying to apply schmooze in return for positive commentary. It’s like fake news – the problem isn’t that it exists, it’s that Facebook users aren’t smart enough to recognize it or are so anxious to validate their beliefs that they suspend whatever objectivity they once had. From Lazy Crazy AZ Days of Summer: “Re: Banner Health. 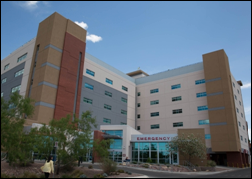 Went big bang in replacing Epic at the former University of Arizona Health Network on October 1. A colleague says ED lab turnaround is six hours and they had to divert patients.” I reached out to Banner, whose PR contact said the hospital was briefly on diversion for some ED patients, but remained open for trauma and walk-ins. They are now off diversion. Welcome to new HIStalk Platinum Sponsor CarePort. 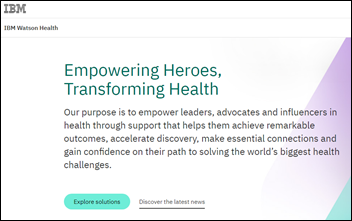 The Boston-based company – acquired by Allscripts a year ago – offers a care coordination platform that bridges acute and post-acute EHRs, providing visibility into the care that patients receive across post-acute settings so that all providers and payers can efficiently and effectively coordinate patient care. 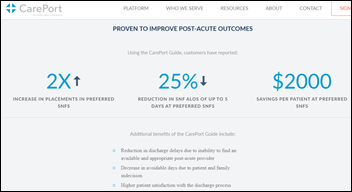 Starting at discharge, CarePort Guide enables patients to choose the best next level of care based post-acute quality scores, services, and geography. Post-discharge, CarePort Connect helps the care team to track patients as they move through the continuum by pulling real-time data from acute and post-acute EHRs. Finally, CarePort Insight aggregates data across providers to deliver the insights needed to manage a high-performing post-acute network. A spokesperson from customer Cleveland Clinic says, “We are giving patients all the information they need to make an informed decision that best suits their needs and preferences.” Co-founder and CEO Lissy Hu – who earned her MD and MBA degrees from Harvard – previously worked on a Medicare demonstration project involving transitions in care for complex patients. Thanks to CarePort for supporting HIStalk. Listening: a new live album from The Magpie Salute, which carries some Black Crowes DNA in offering straight-ahead rock. They’ll play in Madison next week and Kansas City the week after. Music I won’t listen to: young female singers who start every vocal phrase with a dramatically loud intake of breath even though it’s obvious they’re using vocal improvement software that could have removed even trendy extraneous bodily noises. You would not enjoy hearing most of those musically enhanced warblers on “MTV Unplugged,” which is probably why that program went away. I know little about guns (even though I have a satisfyingly hefty .357 Magnum revolver that I used to love shooting at the range) and was curious about the inexpensive and entirely legal “bump stock” used by the Las Vegas shooter to turn a semi-automatic rifle into a poor man’s machine gun, turning up this video that illustrates a product that is either ingenious or terrifying depending on which end of it you expect to be on. I was amused only by the portion showing the product’s schematic in which the gun is throbbing in a phallic-like manner in time with heavy metal music that suggests a stereotypically swaggering target audience (notwithstanding this unfortunately accented female customer). The device is likely to be banned quickly because it’s made by a small family business (it shut down all competitors via copycat lawsuits) rather than a big gun manufacturer. The company owner should go out rich, though, since sales have gone off the charts since the massacre. This week on HIStalk Practice: California IPAs merge as they expand Epic utilization. DuPage Medical Group fills physician pipeline with new resident incentive program. WebPT acquires Strive Labs. CareCloud launches patient intake, payment system. Practices outpacehospitals on healthcare pricing transparency. Former US Surgeon General Vivek Murthy, MD highlights loneliness epidemic. EHR investment makes up good chunk of Q3 digital health funding. MGMA President and CEO Halee Fischer-Wright, MD previews upcoming annual conference, addresses role companies outside of healthcare will play in EHR development. HIStalk’s Must-See Exhibitors Guide for MGMA 2017 goes live. 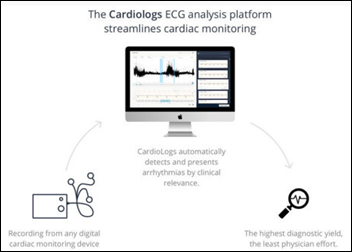 ECG artificial intelligence analysis vendor Cardiologs raises $6.4 million in a Series A round, increasing its total to $10 million. The company’s ECG analysis platform earned FDA clearance in July 2017. Cardiologists upload a digital ECG from a Holter monitor, smart watch, or personal monitoring device and the system reviews the often-long recordings to alert the doctor if it finds one of 10 types of cardiac events, most of them related to atrial fibrillation. The board of Hiawatha Hospital Association (KS) approves the replacement of Allscripts/McKesson Paragon with Athenahealth. Seven Hills Foundation (MA) chooses Netsmart as the care coordination and population health management provider for the Massachusetts Care Coordination Network. James Murray, MS (CVS/Minute Clinic) joins Culbert Healthcare Solutions as CIO. 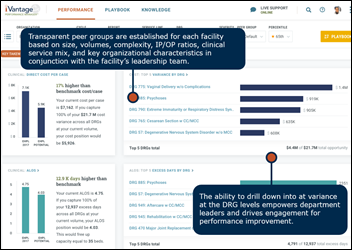 IVantage Health Analytics, part of The Chartis Group, launches Performance Manager, which allows health systems to benchmark performance, identify opportunities for improvement, manage initiatives, and share best practices in a peer-to-peer community. Stat reports that IBM is using its lobbying clout to shield its Watson system from medical scrutiny. A former IBM executive (Janet Marchibroda) helped draft legislation that removed some kinds of health software from the FDA’s oversight; IBM hosted an event to introduce Watson to high-powered members of Congress; and the company has deployed lobbyists to argue that Watson should be exempt from medical device law. It’s an interesting piece, but it seems obvious that IBM Watson Health, like most other clinical decision support or medical knowledge systems, does not fall under FDA regulation because it is not a closed-loop system since the clinician is free to accept or reject the advice it offers. The real scrutiny should come from Watson’s customers and I’ve seen little positive commentary in that regard. The federal government should emulate the best practices of Fortune 50 customers rather than Silicon Valley vendors that often fail even though they know how to deploy products at scale. The government should focus on procurement and program management, not IT development, a lesson long since learned by large companies. It says that the most important CIO skills are choosing commercial products, implementing them efficiently, and maintaining those systems to prevent cyberattack. The federal government should focus on open data instead of open source software development in recognizing that nothing requires the federal government to give citizens systems it builds or buys for free. The most important driver of cost and complexity is customization, with code written by 18F, USDS, and other agencies creating a support tail that drives unbudgeted costs. The government should modernize its processes across agencies since government-specific processes drive IT cost overruns. The NIH issues a $2.3 million grant to the chief epidemiologist at Maryland’s VA system to study why physicians overuse lab tests in believing they are more useful than evidence suggests. 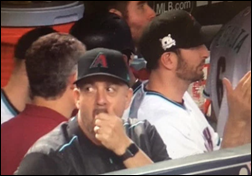 Major League Baseball – which prohibits the use of Internet-capable devices in the dugout during games because of concerns about stealing or relaying signs — launches an investigation as to why a Diamondbacks coach was captured in a photo taken during a Wednesday wild-card game wearing a smart watch. 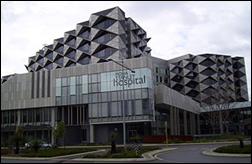 Western Australia’s coroner blames Fiona Stanley Hospital’s lack of follow-up for the death of a 41-year-old patient who died of septic shock on March 2015 after being ordered a contraindicated drug. The patient had inflammatory bowel disease and was prescribed mercaptopurine after clinicians failed to notice a red-flag lab result on his electronic chart. The coroner noted that the hospital now watches patients who are ordered the drug more closely and has developed new requirements for reporting abnormal results, but also recommends that the hospital install better patient tracking systems and send lab results to the physicians overseeing treatment. 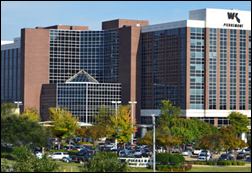 The chief cardiologist of Willis-Knighton Hospital System (LA) resigns as part of a no-confidence vote in the hospital’s CEO, who has run the hospital for a record 52 years. 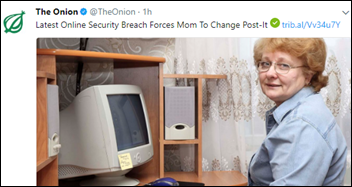 Critics say he has been too slow in making changes and refuses to upgrade the hospital’s computer systems. The system wasn’t mentioned, but Googling suggests that the hospital has run Meditech and Siemens/Cerner Soarian in the past. A Utah neurology clinic that was previously sued for unpaid wages and investor fraud leaves patients without access to their MRI results when it shuts down without notice. The owner blames the clinic’s closure on an electrical surge that damaged its computers, but says he sent its electronic records to Salt Lake Regional Medical Center (UT), which was able to recover those of a patient quoted in the newspaper article. 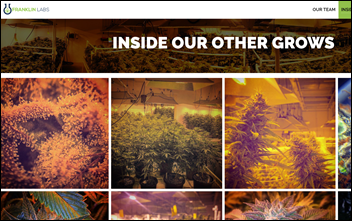 This is fascinating: one of 12 companies that were awarded medical marijuana growing permits by Pennsylvania’s Department of Health in June is offering the never-used permit and its 47,000 square foot cultivation facility for sale at $20 million. The company, run by a former candidate for governor, wants to obtain an even more lucrative clinical research (CR) license that would allow it to investigate the medical benefits of marijuana in partnering with a teaching hospital, which would also let it open another growing facility and to operate six storefront dispensaries. Six of the eight Pennsylvania CR permit holders have already signed research agreements with medical schools — Penn, Drexel, Thomas Jefferson, Temple, UPMC, and Lake Erie College of Osteopathic Medicine. The company’s chief medical officer is the recently retired president of MedStar’s medical group. Influence Health announces its 2017 EHealth Excellence Award winners. Black Book names Nuance as the leading vendor for end-to-end healthcare coding, clinical documentation improvement, transcription, and speech recognition technology. McLaren Flint (MI) implements an RTLS-smart pump interface between Versus and B. Braun, allowing clinicians to see on a real-time floor plan where pumps are located and whether they are actively infusing to improve re-distribution. A Health 2.0 conference demo shows how FDB’s Meducation solution, previously available only to providers, can now be viewed and shared by a patient-controlled app. EClinicalWorks will exhibit at the Louisiana Primary Care Continuing Education Conference October 10-12 in Lake Charles. FormFast and Iatric Systems will exhibit at AHIMA October 7-11 in Los Angeles. Healthwise, Image Stream Medical, and Imprivata, and Intelligent Medical Objects will exhibit at the Cerner Health Conference October 9-12 in Kansas City, MO. ConnectiveRx will exhibit at the IPatientCare’s national user conference October 6-7 in New York City. Hang on Kyle – athena is upset with people spreading misinformation??? Seriously funny if you ask me! You guys created the art form. Time to sit back and enjoy it. Re the bump stock video links: a) you and what army are going to take away that lady’s guns? and b) [doing best approximation of the wannabe-NFL-video-guy voice at the end] “…Of all Man’s works beneath the Heavens, none shines brighter than our Constitution. I think Jefferson and Paine, Adams, Madison, Mason, Franklin… I think they’re looking down right now at us… I think they understand what we’re trying to do… what we STRIVE to do.” Huh??? Unless I develop time traveling/psychic abilities, I can’t be 100% positive, but I’m pretty sure this country’s founders would be completely disgusted by this contraption, not to mention being included in its cheesy marketing video.